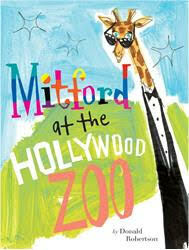 Fashionistas everywhere will enjoy Mitford at the Hollywood Zoo by Donald Robertson. 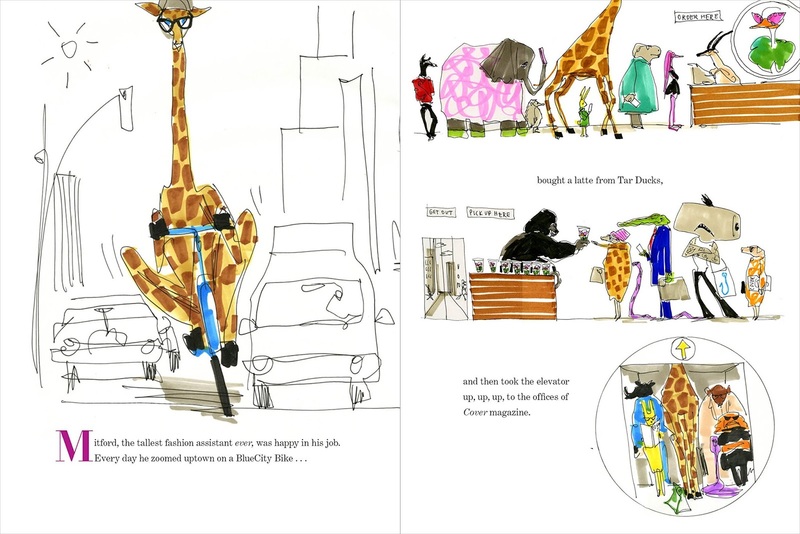 In this book we follow Mitford the giraffe as he goes through a crazy work schedule helping hollywood's elite with their fashion emergencies. This book has clever play-on-word celebrity names modeled after our actual famous actors and actresses such as Rinoana who is a rhinoceros. Shark Whaleberg (a Whale) and Meryl Sheep (a sheep). This definitely adds to the fun of this book. Mitford is great at problem solving and tackles each task with ease and never lets anything get him down. In the end he triumphs with a wonderful promotion and walk on the red carpet! This is just a fun book of an animal world with ours in mind. I really enjoyed the beautiful illustrations and the sweet story. 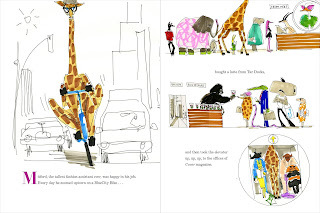 But now another city needs Mitford, and soon the chic giraffe is surrounded by palm trees and super-famous celebrities! It would be great to sunbathe by the pool, but it’s the day of the Acadamy Zoowards and these movie stars must have the most fabulous dress or tux ever. Can Mitford deliver everyone’s fashion demands on time? Get your copy of Mitford at the Fashion Zoo at your local book retailer or online at Penguin Random House.